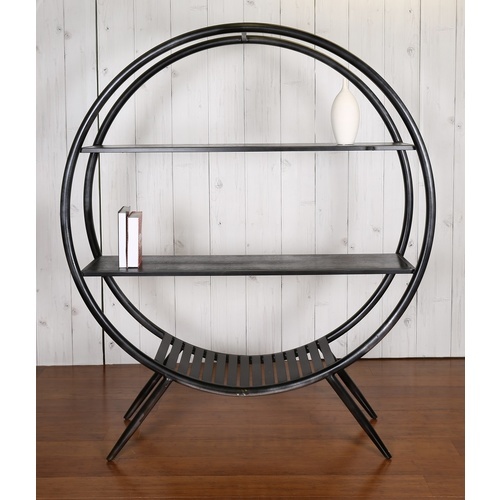 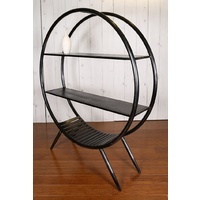 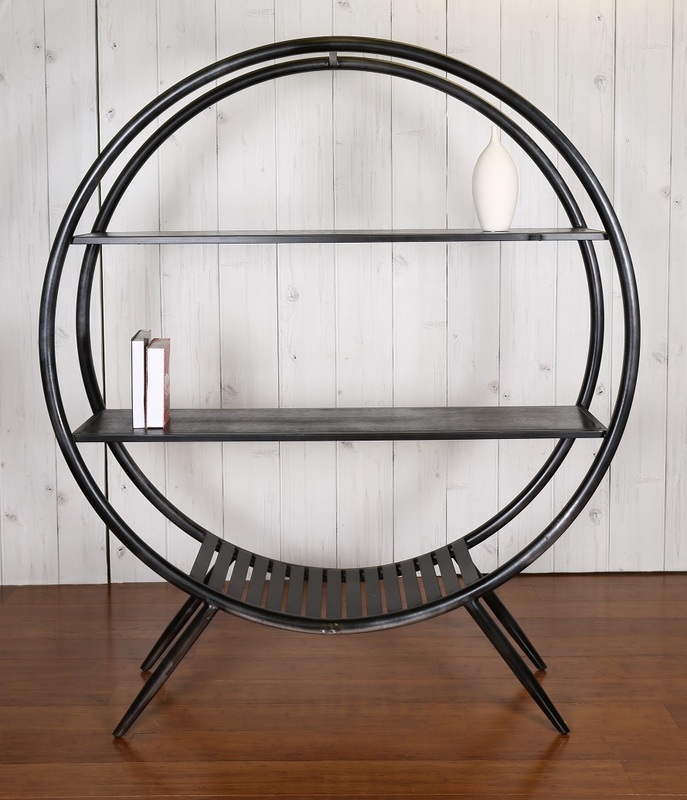 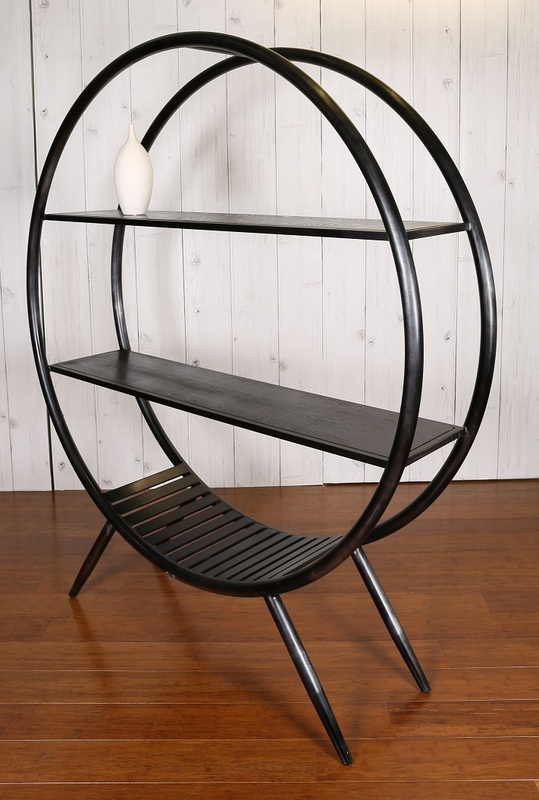 Looking for a shelf that isn't bulky but still a stand out piece, The hoop display shelf is perfect just for that. 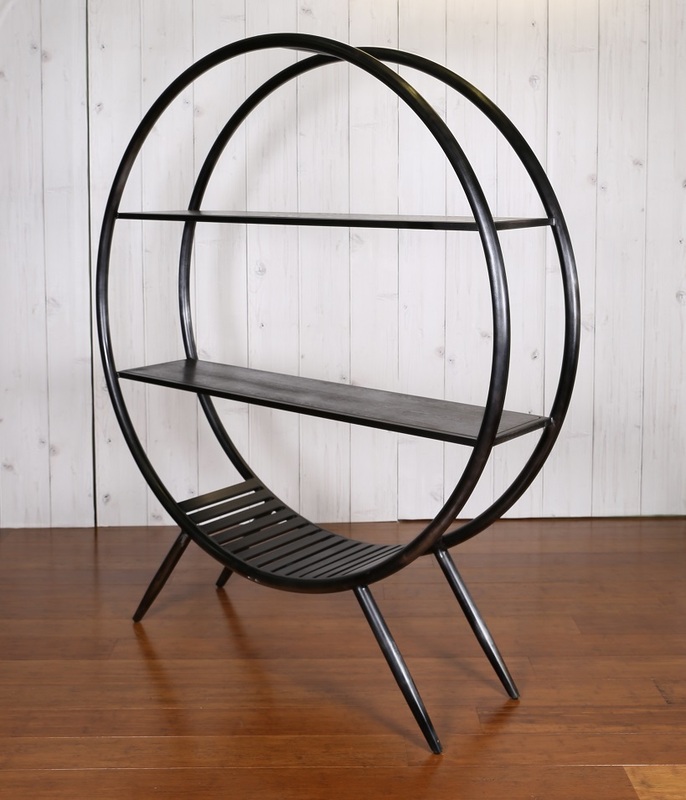 Made from a Vintage metal with matte black finish. 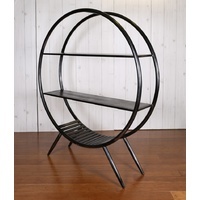 Strong and sturdy 2 wood shelves and 1 metal shelf on a robust metal finish. 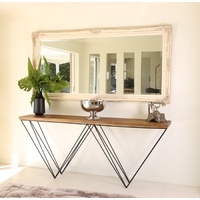 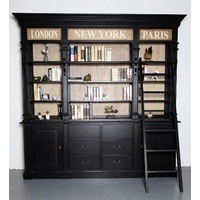 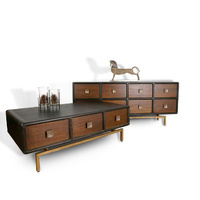 A statement piece great in an entrance or a statement in the living room.